According to the travel association Abta, an estimated two million of us headed overseas on the first weekend of the holidays, despite the best efforts of the government and British Airways’ ‘Don’t Fly’ campaign to make more of us holiday at home. For many, the start of the school holidays and the recent run of terrible weather were the motivating factor, but over one in ten of those going away said they wanted to avoid the Olympic hype and crowds. Jet off abroad or support Team GB? Back in 2011, we asked whether you would rather jet off abroad than endure the predicted travel chaos the Olympics would bring. The response was mixed, with Fog saying ‘Why not enjoy it?’ and pointing out that the Games only come round once every four years. ‘I am a sports fan and would love to see them live, but my family, like many others, have been priced out of the market. To come down for the Olympics, see a final event and stay overnight would cost at least a month’s disposable income for my family. If we are going to spend that, I’d rather have a week in the sun’. As an east Londoner I’ve veered wildly from one side of the argument to the other. My first reaction was, ‘brilliant I can rent my house out for a million pounds and go on the holiday of a lifetime!’ But as soon as it became apparent that media hype had somewhat skewed my expectations of both the demand for, and the rental value of, a terraced house in Leyton I got online and bought some Olympic tickets. Even hotels are reporting lower bookings compared to the same period last year, as many tourists have vowed to stay away. According to JacTravel, some four-star hotels have dropped their original Olympic quotes from £400 per room to £150, with two-stars dropping from £200 to £50. The chief exec of the European Tour Operators Association, Tom Jenkins, today said London visitor ‘numbers are currently dramatically down on last year’. Are you sticking around to support Team GB? 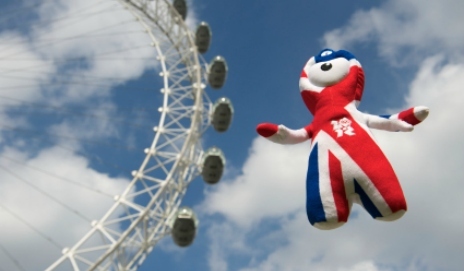 Or do you wish you’d joined the estimated 19% of the population who will head off on holiday during the games?